Few Westerners have seen the remote Suguta Valley in northern Kenya. Mickey Mestel has seen it no fewer than four times - on foot. This distant, unforgiving land that's been called "the harshest terrain on the planet" has planted a permanent seed in this traveler's heart; and is is one that needs no water or sun. Enduring extreme heat, cold, thirst and hunger, the danger of bandits and wild animals, and mind-bending cultural differeneces, Mickey has lived to tell of things the rest of us never knew we could dream about. 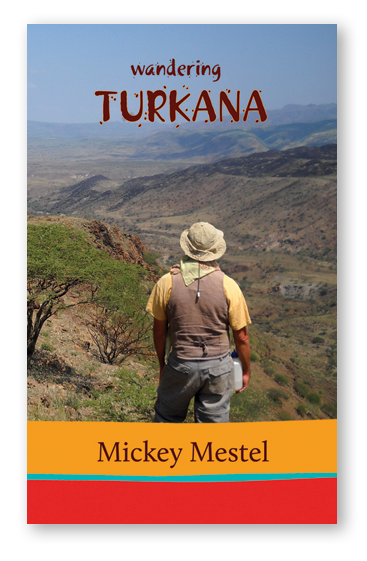 Join MIckey on this extraordinary walking safari to mythical Lake Turkana at the northern end of the Suguta Valley and see Kenya like you never have before. Mickey Mestel is a passionate storyteller who loves to tell about the odd, exotic experiences from his faraway travels. In Wandering Turkana, he muses about everything from riding a bus in Africa to the natural ways of the nomadic Turkana. His search for Spirit leads him to one of the harshest environments on our planet. It is worth your time to take the journey with him. Way off the beaten track, this splendid book shows an Africa that is fast disappearing. This journey of the mind, following in the steps of MIckey, a thoughtful, tough American, and Ismail, an Afriacn guide, with their donkey handlers, porters, and fellow travelers, is unliekly to age.